At the end of last week, I had a minor mini breakdown. My anxiety skyrocketed. I fought with my husband- not a novel thing, but I recognized old patterns in the way I couldn't drop it, stormed away and stormed back again, louder this time. I isolated myself from people who I wanted badly to see. I stood at coffee counters, firmly telling myself I'd feel much better with tea or water, and walked away with large drinks full of stuff that would make my heart race. Little bells went off- this isn't normal. This isn't right. The little bells are lifesavers and such proof that I've come so far. I thought about how crappy I'd felt on Thursday and Friday, and felt sad that that used to be every single day. The culprit was yoga, or lack thereof. I had been going once a week to an hour long class and then doing SUPER LOW EXERTION workouts on a little elliptical I keep in my office a few other times. It was nothing that was sculpting my body or blowing my mind, but apparently it was keeping things together. I got thrown off my routine two weeks ago when I had to be out on weeknights, and exercise dropped off the plan. I felt the difference SO HARD. And I felt so lucky to be able to notice, analyze, and trace back to the source. This is a skill I took forever to develop. Anyway, that awareness is making me happy. So I thought I'd share a few other things making me happy right now. I love them so much. Right now I'm really, really into the Astrotwins. 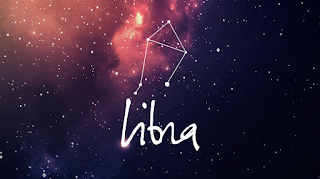 They have daily, weekly, and monthly horoscopes for every sign and I check in every morning. 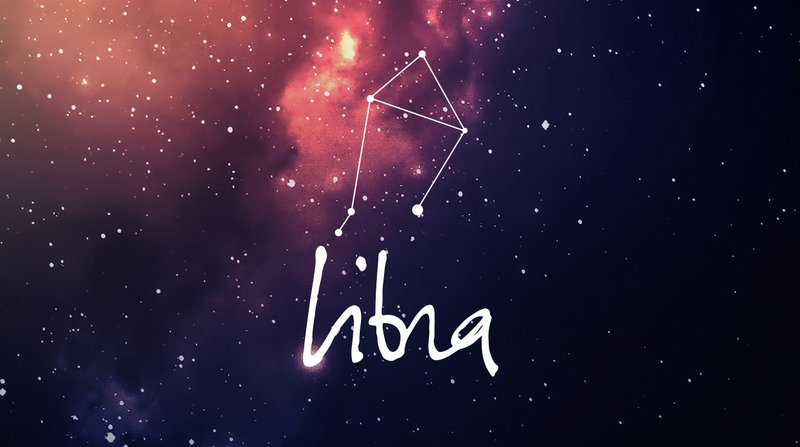 I love how reading horoscopes lets you see how you're feeling about yourself- whatever person-specific things bubble up as you read are the things you are holding close to your heart. I don't overthink them, but I let them inspire me. I also check out Susan Miller and Chani Nicholas. I don't buy new clothes very often, but I splurged during Modcloth's Memorial Day sale. The thing I love about Modcloth is the community aspect- the reviews are full of honest and detailed descriptions, especially from fat people. This makes me feel so much more comfortable shopping. I know they were recently bought by a different company and am warily keeping an eye on how things play out, but for now, the business side of things went well! I bought a romper patterned with umbrellas and storm clouds, a LBD for my sister's bachelorette, a green skirt (which I own in yellow and get countless compliments on), a heart-patterned tank top, brown saltwater sandals, and a red dress patterned with ice pops for my anniversary party. I have to try everything on this weekend, but I wore the romper to Book Expo this week in New York and no one tried to sell me tickets to the Statue of Liberty, so I think I blended in among the city people. 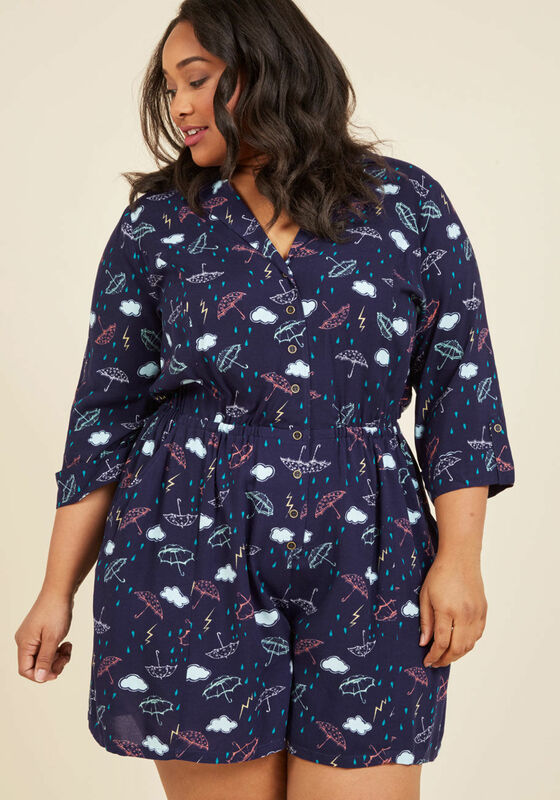 Being a fat girl in a romper was a fashion goal achieved! Last year was the summer of moving, and house stuff took up every second of my time, This summer is the summer of family, and that's where my focus will be. My sister/best friend is getting married in October, and this summer brings a lot of pre-wedding celebration. My son was diagnosed with a developmental delay at the end of the school year, and we're going to be trying to keep a loose "homeschool" schedule so we can work on behavioral tasks he needs to nail before heading back to school. My husband and I have been married ten years in June, and that needs it's due attention. School goes almost all the way through June this year, but we're left with 8 solid weeks to breathe before everything starts up again. I hope to make the most of them. IT'S BACK! 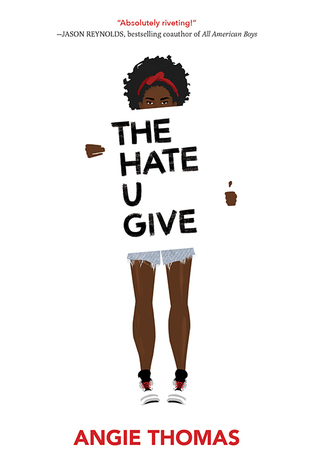 Our June pick is THE HATE U GIVE, a wildly popular YA novel dealing with the Black Lives Matter movement and a young black girl torn between two worlds. I've been hearing nothing but great things about this novel for months now, both from the industry and from friends, but what really tipped me over was the fact that Cult of Pedagogy (a teaching website I love) is also reading it as part of their summer book club. The chance to hear about this important book from an educator's perspective was too much to pass up. 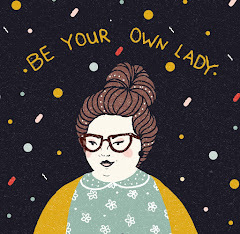 I'm going to try and focus a lot of the discussion on Instagram and on the Be Your Own Lady Facebook page. Let me know if you're reading along! Being happy is one of the most important thing in life, no matter how you live you should try out to find happiness in it anyway. Great one to learn from!